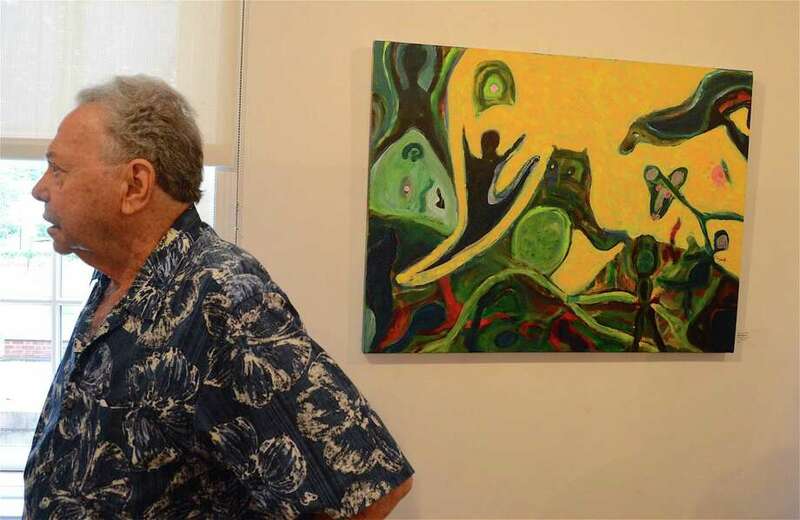 FAIRFIELD — The “Bending Reality” exhibit at the Bruce S. Kershner Art Gallery in the Fairfield Public Library presents three local artists who offer unique and yet somehow compatible perspectives on just that. Saturday’s opening reception drew over 100 people, all of whom enjoyed viewing work by Al Coyote Weiner of Fairfield, Marjorie Poe and Norm Siegel, both of Norwalk. “The people in this show all have different styles and somehow it works,” said Alice Katz, co-curator.